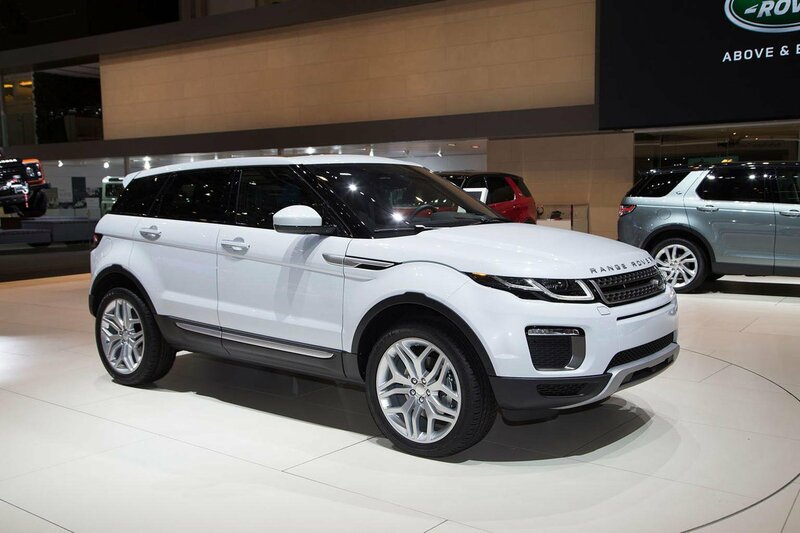 2015 Range Rover Evoque facelift revealed | What Car? The Range Rover Evoque compact SUV has been a huge success story for Land Rover since it first went on sale in 2011, with more than 400,000 being sold globally. 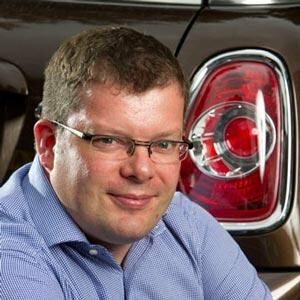 Even though 2014 marked the Evoque’s most successful sales performance to date, Land Rover has announced a raft of changes to keep the car competitive in this hard-fought sector. The revamped version goes on sale in September 2015. **The styling tweaks for the 2015 Range Rover Evoque are subtle, although the company hasn’t strayed too far from current car’s the successful formula. Among the key changes at the front are a new front bumper, larger air intakes, two new grille designs (depending on specification), all-LED adaptive headlamps and new alloy wheel designs. The rear features a new tailgate spoiler and high-level LED brake light. Inside, the revised car features new seats, door casings, new soft-touch materials and a greater choice of colours. Standard SE models feature leather upholstery and powered eight-way seat adjustment; higher-spec variants get optional front massage seats with 14-way electric adjustment. **What engines does it get? **This is the big news, for the revised Range Rover Evoque comes with Jaguar Land Rover’s new four-cylinder, 2.0-litre ‘Ingenium’ turbodiesel engine. This makes the Evoque Land Rover’s most efficient production model ever. The most economical version, the two-wheel-drive, 148bhp, 317lb ft eD4 equipped with a manual transmission, will deliver a claimed 68mpg and 109g/km, according to the manufacturer's estimated figures. That’s 18% more fuel efficient than the Evoque’s previous diesel engines. A more potent diesel will also be offered, with 178bhp and 317lb ft. It will return 59mpg and 125g/km in six-speed manual, four-wheel-drive form. Significantly, service intervals for the new Ingenium diesel engines have been extended from 16,000 miles to 21,000 miles, reducing running costs for owners. The new car will also be offered with Land Rover’s existing 237bhp Si4 petrol engine, which can achieve 36mpg and 181g/km. This variant, which comes with four-wheel drive and a nine-speed automatic transmission as standard, can accelerate from 0-62mph in 7.6sec and has a top speed of 135mph. Three drivelines are available: two-wheel drive, four-wheel drive and Active Driveline. The latter system automatically switches between two- and four-wheel drive as required, and also features torque vectoring to improve traction in low-grip situations. It is standard when the Si4 petrol engine is specified and optional across the rest of the range. The most efficient Evoques – namely the front-wheel-drive eD4 Coupe and 5dr variants – will be designated as ‘E-Capability’ models and wear blue ‘Evoque’ badges. **Land Rover is bringing the Evoque’s trim levels into line with those of the Range Rover Sport, which means customers can choose SE, HSE Dynamic and Autobiography specifications. The Evoque comes with a long list of standard and optional kit. New for this refreshed version is Land Rover’s 8.0in touchscreen-based infotainment system, InControl Touch, on SE-spec cars. A new TFT information display in the instrument panel also features. Every car now comes with lane departure warning, Autonomous Emergency Braking (AEB), heated eight way adjustable front seats, electric door mirrors, automatic lights and wipers and automatic climate control all as standard. Higher-spec cars also come with InControl Touch Plus, but with HDD-based navigation, a rear-seat entertainment system and an uprated audio system. The Evoque also benefits from technology first seen on the Range Rover: All-Terrain Progress Control (ATPC) maintains a pre-determined speed off-road to assist the driver in negotiating tricky terrain. New safety features included as standard include lane-keeping assist, autonomous emergency braking and a drowsy driver warning. **How much does it cost? **The revised equipment levels and new engines have resulted in a tweaking to the car's pricing, with the entry-level model now starting at £30,200 - a rise of a touch under £2000 over the outgoing version. This price buys you the 2WD model complete with the new 148bhp eD4 Ingenium diesel engine in SE trim. The range carries on to the automatic 4WD with the 237bhp Si4 engine in HSE Dynamic Lux trim. This cots £48,500. The coupe is available in fewer trims, but each one costs exactly the same as the equivalent five-door version. Target Price savings of between £1000-1500 can be had on the current Range Rover Evoque, and it’s fair to assume this will continue to be the case when the revised version goes on sale. A wide choice of rivals includes the Audi Q5, BMW X3, Lexus NX, Volkswagen Tiguan and Mini Countryman. Others are cheaper to buy or more practical to live with than the Evoque, but none of them possess quite the same visual impact and few are as satisfying to drive. The introduction of cleaner, more efficient engines and technical upgrades could make it even more appealing among this competitive pack.